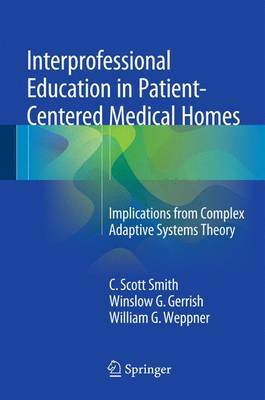 This book discusses the application of complex adaptive systems theory to the design and evaluation of patient-centered medical homes (PCMHs). The three defining goals of PCMHs are to spread patient-care roles among healthcare team members, focus on disease prevention and include the patient in the healthcare team. It explains why some PCMH pilots are highly successful while others do not show much benefit, covers specific sub-theories that allow for bracketing of different aspects of the clinic system and highlights strategies by which institutions can engage in this process. Inter professional Education in Patient-Centered Medical Homes is a valuable resource for faculty and managers of health professions teaching clinics, deans of medical and health professional schools and medical administrators.